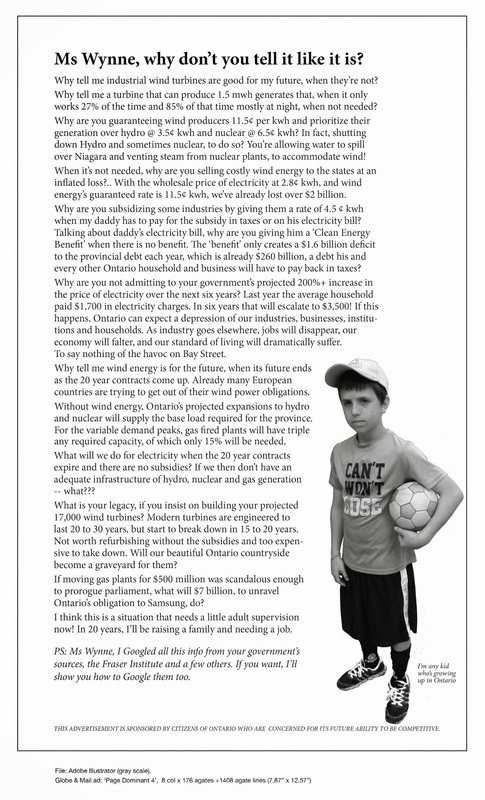 Environmental Commissioner Hears Concerns About Wind Power | Mothers Against Wind Turbines Inc. Kudos to WCO, NAPAW, Heather Stauble, Lisa Thompson and all who made this meeting happen. “When it comes to renewable energy procurement in Ontario, there are key aspects of the process that just don’t seem to be working,” said Lisa Thompson, MPP for Huron-Bruce in a meeting Monday with Ontario’s Environmental Commissioner Dianne Saxe. Municipal representatives and citizens groups were also on hand to share their experiences with Industrial Wind Turbines in Ontario communities. “At a time when our province is selling power at a loss to other jurisdictions, there is no need for further projects that seemingly serve proponents at the expense of taxpayers,” said Thompson. Earlier this week, the Ministry of Energy announced that it was launching a new Request for Qualifications process for renewable energy projects, with the goal of encouraging the selection of projects with local support. Contracts awarded in March however, show that this has not always been the case. The municipality of Dutton/Dunwich, a participant in Monday’s meeting, is slated to see a 58MW wind farm developed in the area, despite having declared itself an unwilling host community. Heather Stauble from the City of Kawartha Lakes was also on hand to share a similar story, and highlighted for the Commissioner the challenges her municipality has been facing with regards to access to information and the redaction of expert testimony during Tribunals. Additionally, Warren Howard of Wind Concerns Ontario highlighted the fact that there have been 2,700 noise complaints filed with the Ministry of Environment and Climate Change (MOECC), and asked the Commissioner to look into Ontario’s noise regulations under Section 61 of the Environmental Protection Act. Previous PostWE have power of veto!Next PostStay Granted to Stop Destruction. The link is broken. Can you try again?